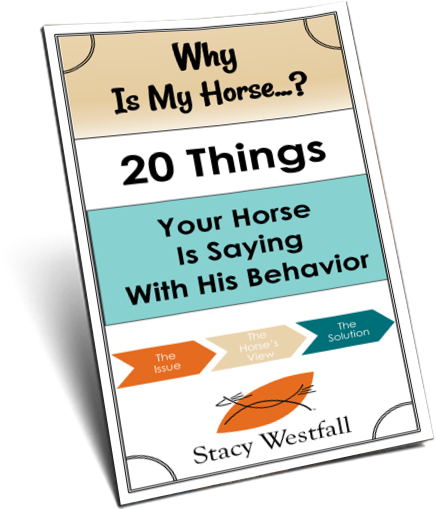 Maybe it’s because I’m crazy…or because they are crazy…or because we are all crazy (for horses)…but I love horse people. I’m sitting here warming my feet after enjoying time with 65 people crazy enough to brave 13 degree weather for tonights “Up Close and Personal Clinic” at Cowboy Perseverance Ranch. Slated to run from 6pm-8pm it really went until 10:30 pm! As an added bonus the lady who contacted me on Facebook, Dawn Spoltman from WickedPony Designs had the hand-painted glass she made me hand-delivered. Did I mention I love horse people? 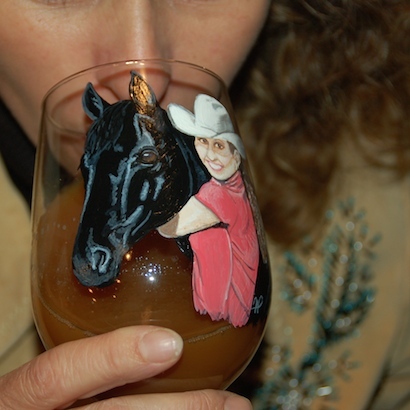 Enjoying apple cider in my hand painted glass from Dawn Spoltman at WickedPony Designs. The photo doesn’t do it justice! I grew up with horses and ponies, and have never lost my love for them. I still think the best smell is that of a horse and like to take long draws from a horse’s nostril any chance I get!! Your glass is a beautiful (and practical) memento of Roxy. Yes, horse people are a breed of their own! Proud to be one! Love the glass! Me too, Stacy. 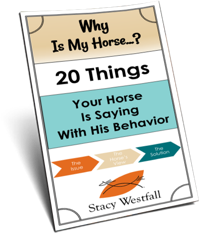 Only horse people understand it in our heart, soul, blood, and every breath. Than you for all you do. Many blessing and keep those tootsies warm Tonite.